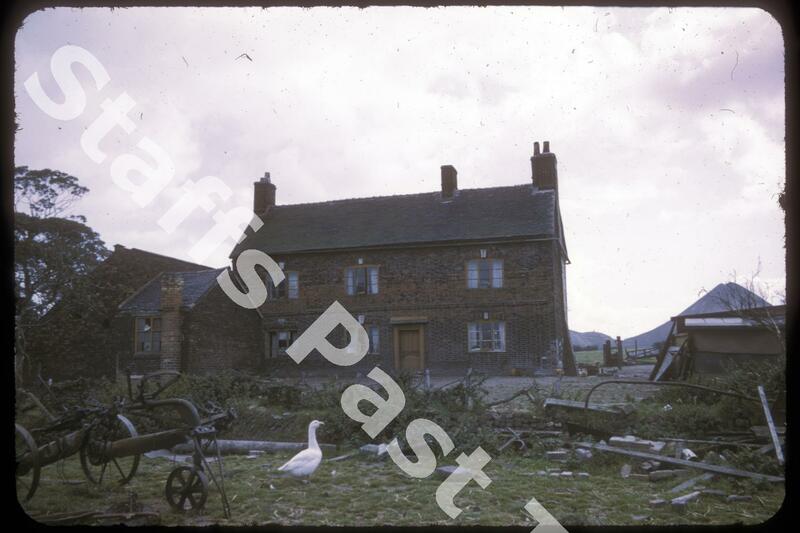 Description:The farmhouse at LWN farm with Mossfields Colliery spoil tip in the background. This farm is close to the medieval (13th or 14th Century) moated farm or manor house, a short distance to the east. 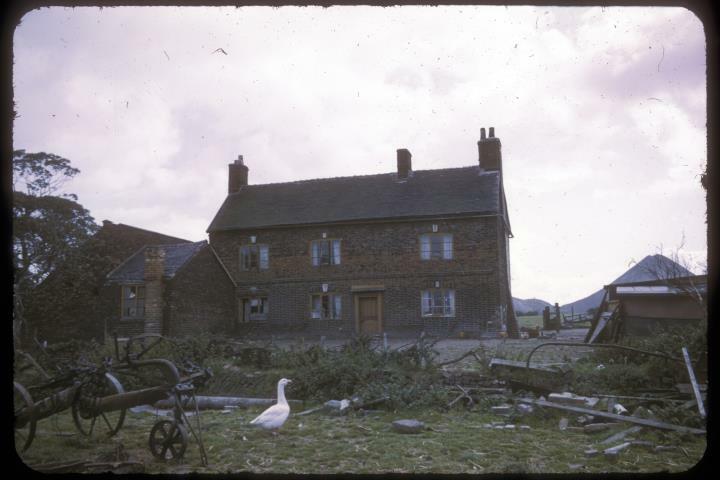 This farmhouse has been demolished.